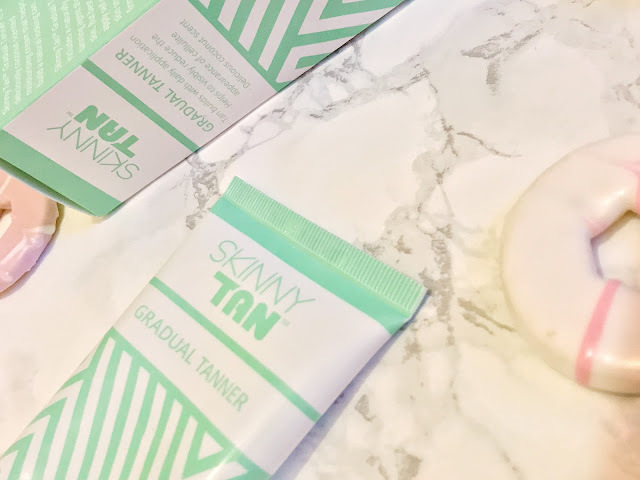 Perfect glow with Skinny Tan Gradual Tanner! So I know I have to be realistic. I can't go from looking like Casper the friendly ghost to a tanned, tropical goddess in the peak of the freezing cold Winter season. It just isn't feasible to have a deep tan and looks unrealistic. So instead of reaching for my dark fake tan mousse, I decided to try out a gradual tanner. I wanted something that was just going to give me a soft warmth to make me look a little more alive during these cold months where sunshine is practically non existent. Here is where Skinny Tan Gradual Tanner comes in. After showering I will always apply a body cream, so swapping it up for a moisturiser with a tint of colour seemed like a small jump. Skinny Tan Gradual Tanner is a daily body cream that created a natural glow on the skin and can be used on the body or face. The first time I used it I stepped out the shower and ensured I was entirely dry, I squeezed a 50p sized blob into my hand and began working into my skin, starting with my feet upwards. Everyone has different ways of applying tan or a gradual tanner, but with a moisturiser I prefer to use my hands as opposed to a mitt. Once my legs were complete, I gave my hands a rinse and then started working the tanner into the upper half of my body, not forgetting backs of hands and all the way up my neck. The following morning when I looked in the bathroom mirror, I had a nice wash of colour. It was noticeable enough for me to see the difference but not overly dark. After only one application I was thoroughly impressed with the colour pay off. So really my only issue with this tanner is that I want more of it and don't want it to ever run out. That in my eyes is a pretty awesome - it's a 9/10 from me! 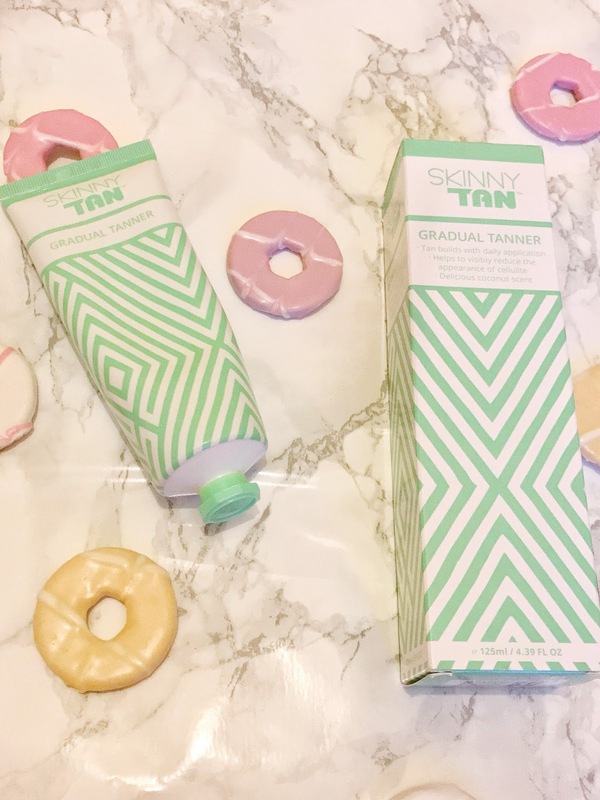 If anyone has used any other tan products from Skinny Tan let me know, I am eager to try more from Skinny Tan!